After positive reception by industry observers last week regarding Google’s decision to split from WebKit rendering engine in favor of its own browser engine Blink, developers have of late expressed concerns over features that may suffer as a result of the break-up. Google’s move to fork Blink away from WebKit was seen both by developers and analysts as a decision that will contribute to more diversity in the web, as much as a key element in ensuring independence among different browsers. This after some time of perceived dominance by the Apple developed WebKit, the erstwhile near web monopoly of which has sent some web developers creating and designing web pages that works only with WebKit based browsers but not with others. 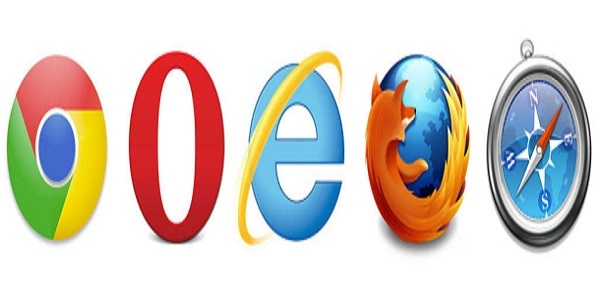 This scenario in fact, has forced the browser Opera to retire its own rendering machine Presto in favor of WebKit way ahead of the search giant announcement of its forking away from WebKit. As much as Google’s Blink is seen to be contributing towards a healthier web ecosystem, developers and observers alike have also expressed apprehensions that developers may have face browsers losing some critical features. For instance, with Google now migrating its resources to Blink after parting ways with Apple, Safari may be left suffering the loss of CSS Variables, a web programming technology that is the secret of ease in web page programming. In the announcement of its break up with Apple over WebKit, the search giant has stated that its move will be liberating for both Chromium and Safari. For its part, Google will be in a position to accelerate the development of Chrome since it would now be easy for it to readily adopt changes that are otherwise too extensive to implement in any single open source project. Unfortunately, this also means that it is now difficult to cooperate. This is because duplicate groups now have to maintain common features for each separate project rather than a single team working for the benefit of the entire participant’s in a project. For Safari in this case, the first issue that surfaced after the break up was that of CSS Variables. This scenario happened after Apple’s Andreas Kling stated the he wanted to remove the CSS variables from the tree after Chromium’s decision to quit, since, according to him, it is only Google that ships the feature to the best of his knowledge. The feature is in itself not bad, he qualified, and that it can be restored when and if needed. Some developers, however, were disagreeing about removing the feature, with one even volunteering to maintain it. It is expected that the issue of CSS Variables will not be the last one to surface regarding how to deal with once maintained features.